I was looking forward to our first full day in Bordeaux. We had a scheduled visit at Chateau du Seuil in Graves at 10 am. However, before we could head south we had to pick-up our rental car because Bordeaux is closed on Sunday for the most part. I have to say that picking up a rental car in the US is very straight forward; you reserve the car, enter the rental and go to the main desk. You typically sign paperwork, and are then presented with instruction as to where you find the car. Well, not in Bordeuax….. So I would like to share a few things you should know if you ever plan to rent a car in Europe. The most important thing is that you need to obtain an “International Drivers Permit” (IDP). You can obtain this from your local AAA for $15.00 per driver and should know that they will also provide you with the photo, which is similar to a passport picture. If you are stopped while driving in Europe without one the fines can be as much as $300 EU (~$450 US). Another crucial bit of information is that when renting a vehicle, be sure to bring your Passport along. Chris and I made the mistake of leaving our passports securely in our hotel safe and were unable to take a car without it. This resulted in additional cab fares to and from the hotel to pick them up! Those cab fares ran roughly around ~$80 EU (nearly $120.00 US). Once we finally completed the paperwork, the next task was to find the car after reviewing a hand written sketch and communicating with a gal who spoke very little English. That too was a challenge! After walking about two blocks, under the bridge, around the round-a-bout and into the lot, which also included a multi-level parking ramp… there was no attendant to be found, so we explored numerous rows while pushing the “lock” button in hopes that the horn would sound; or that the lights would flash… we finally found the car. We then had problems starting the car because the steering wheel was locked so Chris went back to the office and hailed help and lastly, the vehicles GPS in the Audi A3 was not activated! Another trip to the office to obtain a portable GPS… found someone who could communicate somewhat with Chris and her limited French and was able to have her help change the language to English so we could find our way about!! By this time we were two hours behind…. But we made it!! 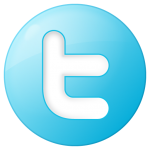 Graves (/ˈɡrɑːv/; from French: ‘gravelly land’) is an important subregion of the Bordeaux wine region. Graves is situated on the left bank of the Garonne river, in the upstream part of the region, southeast of the city Bordeaux and stretchs over 50 kilometres (31 mi). 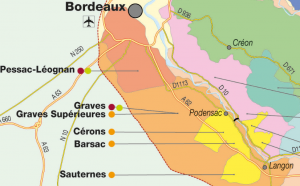 Graves is the only Bordeaux subregion which is famed for all three of Bordeaux’ three main wine types—reds, dry whites and sweet wines—although red wines dominate the total production. Graves AOC is also the name of one Appellation d’origine contrôlée (AOC) which covers most, but not all of the Graves subregion. The area encompasses villages including Sauternes, Pessac, Talence, Léognan, Martillac, Saint-Morillon, and Portets. Graves is roughly an hour south of the town of Bordeaux. When we eventually made it to Chateau du Seuil and our friendly, English-speaking host Sean was waiting for us. The stress was gone and we had a great tour of his estate that included his barrel storage room, wine making and production facilities. We also explored some of the vines including Merlot grapes very close to the tasting room. Once our time and tour was done, Sean was very generous gifting Chris and I a bottle of his Graves Blanc, as well as a few others that I will write about later. 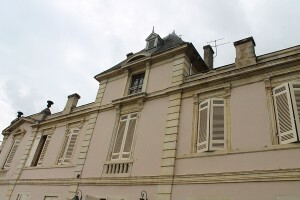 The front of their Chateau Estate. 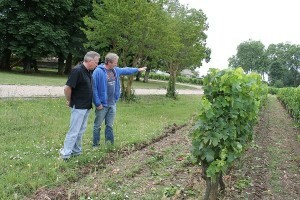 Bill and Sean viewing the vines. 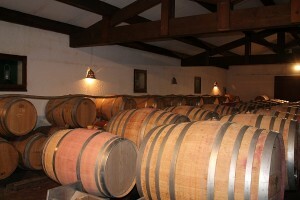 Barrels aging the wine. The bottling machine. 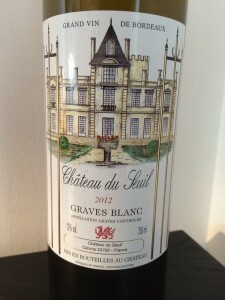 The Graves Blanc was very aromatic with young-fruity development. I noted pear, apple, melon. This wine was dry, medium-bodied and had nice acidity. It was very flavorful and tasted soft, but crisp with mid-palate flavors and a medium length finish. How much: It was a gift from Sean. 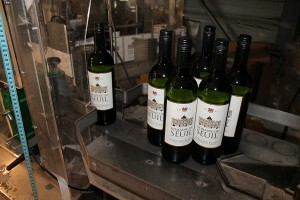 Looking on-line the price averages around $24.00 US per bottle. The Graves Blanc is a blend of Sauvignon Blanc and Semillon. 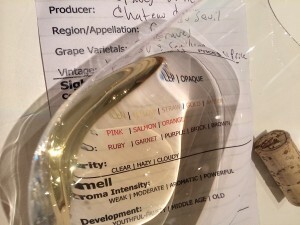 I rated the 2012 Chateau du Seuil Graves Blanc three glasses. If you can find the wine I would buy it.